It’s easy to fall in love with Central Oregon in the winter. Snow covers much of the high-desert region, frosting mountaintops and icing waterfalls, while communities celebrate the season with special events and activities. Dry, deep powder attracts skiers and snowboarders to Mt. Bachelor in Bend and Hoodoo Ski Area in Sisters. Snowy forests and sno-parks host cross-country skiers, sledders, tubers, sled-dog teams, snowmobiles and more. And after a fun-packed day in the snow, there are plenty of ways to relax and recharge, like in a cozy lodge with a dark winter beer. 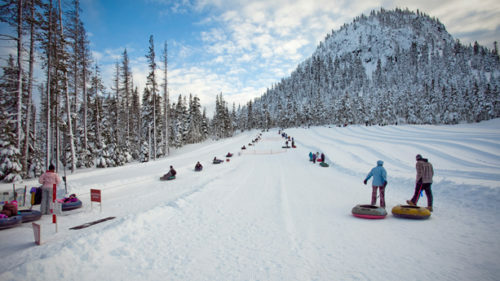 Ready for a wintercation in Central Oregon? 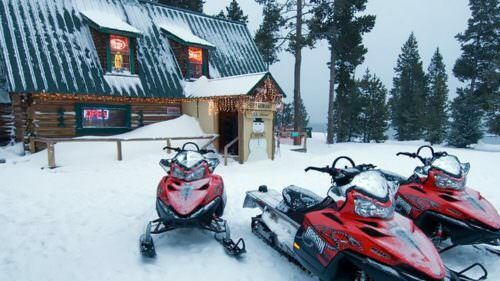 Here are a few favorite ways to explore this winter wonderland. 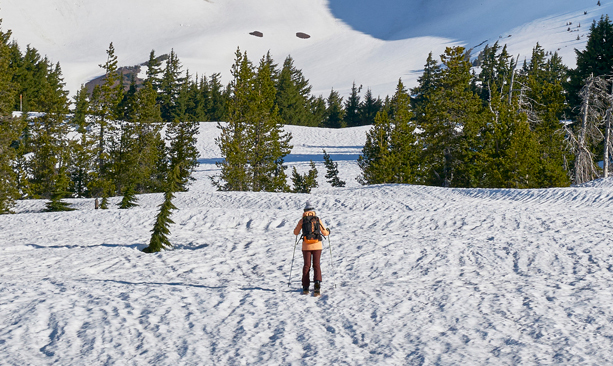 It’s not every day that you can ski down a stratovolcano, but Bend’s Mt. Bachelor isn’t your average ski area. 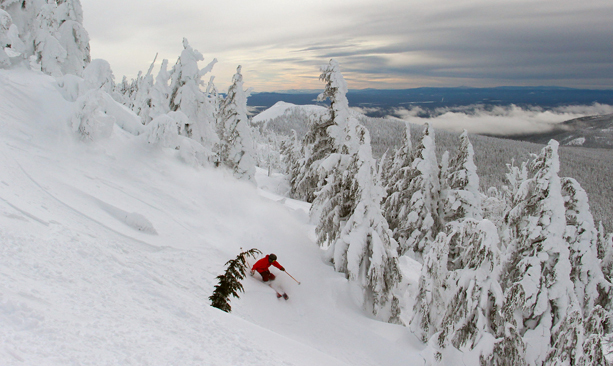 The 9,065-foot volcanic cone is famous for its deep powder and surfy terrain, with more than 4,300 acres of lift-accessible terrain and 101 runs (including 15 at beginner level) as long as 4 miles. Hoodoo Ski Area in Sisters is always a fun experience in the day, with 800 acres of fluffy terrain and 34 runs, but the resort’s night skiing is truly special. For the 2018-19 season, Hoodoo added new lighting and extended night skiing schedule, which means more opportunities for snowy fun. Explore Central Oregon’s Nordic ski trails this winter. Beyond the slopes of Mt. Bachelor are 56 km of Nordic ski trails, weaving through the Deschutes National Forest. Rent skis, snowshoes or pulk sleds (and buy lessons) at the Mt. Bachelor Nordic Center. Nearby, Virginia Meissner Sno-Park boasts another 40 km of cross-country ski trails. For those with pups in tow, there are dog-friendly trails at Wanoga, Edison and Skyliner sno-parks. West of Sisters, Ray Benson has six sublime trails. 10 Mile near La Pine features a 7-mile loop to Paulina Creek Falls, with a warming hut at the entrance and Paulina Lodge along the way. Or for another wintry waterfall, ski or snowshoe to Steelhead Falls; the trail is open year-round. Bundle up and take a spin on the ice at one of the rinks throughout Central Oregon. Let your inner ice skater shine on the rinks in Central Oregon. 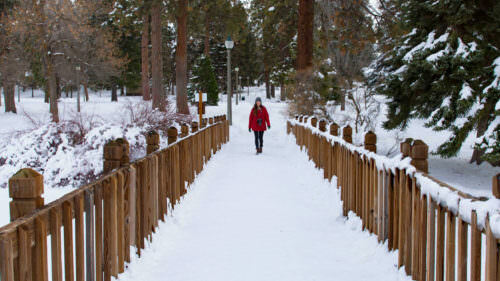 The resort community of Sunriver offers a covered ice skating rink in The Village at Sunriver, a longtime family favorite; little ones will love the Alpine Express Train too. At the base of Mt. Bachelor, the beautiful rink at Seventh Mountain Resort is a sweet place to take a spin (or a lesson), and the concessions area gets even sweeter. Ice season is an exciting time at The Pavilion in Bend, home to Central Oregon’s only NHL-size ice sheet, with league hockey, curling and family-themed skate sessions. 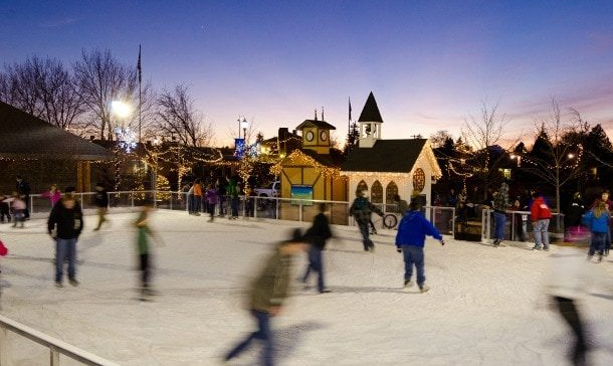 For skating outside, head to downtown Redmond, where the city’s outdoor ice skate rink will have you twirling under the stars. Snuggle up next to a crackling fire or be rejuvenated at Sunriver Resort’s luxurious Sage Springs Spa. 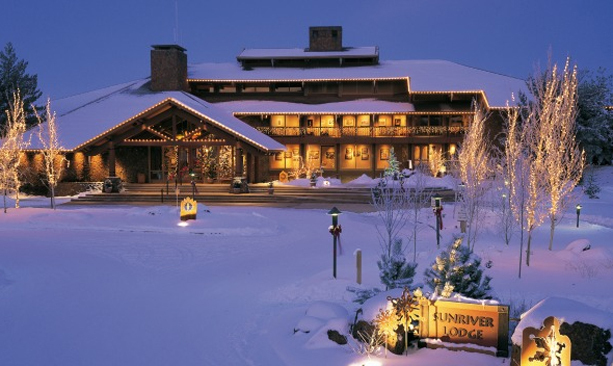 Escape the city life and stay in comfy lodge or cabin at Sunriver Resort, a destination in itself, surrounded by towering ponderosa pines. Snuggle up next to a crackling fire for a warm winter’s rest, or be rejuvenated at the luxurious Sage Springs Spa. 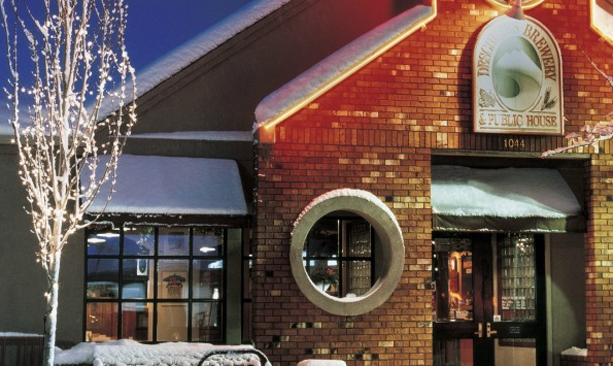 Take a leisurely stroll to Sunriver Brewing and tax-free shopping at unique boutiques. If cabin fever sets in, head to the High Desert Museum, just minutes away, where you’ll be intrigued by Central Oregon’s living history. Or put on your snow clothes for the SHARC winter tubing hill and try to time it with one of the black light blast nights. And there are more cozy winter retreats in Central Oregon, like The Suttle Lodge, Brasada Ranch, Tetherow and Paulina Lake Lodge, to name a few. 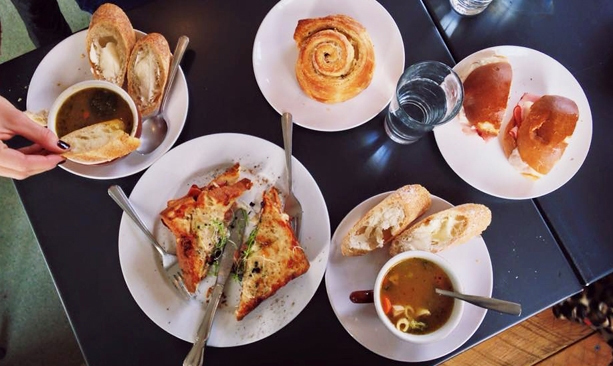 Take a self-guided culinary walking tour through Bend, with breakfast at Sparrow Bakery. Even after the farmers’ markets close and snow covers the Cascades, the local culinary scene is alive and well. 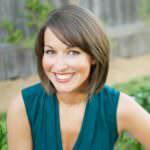 Learn why Bend’s brunch scene is the perfect way to start the day. Fill your cup with fresh roasts in an old Western setting at Sisters Coffee Company. Taste farm-to-table dining at its finest at Ariana. Vegans and non-vegans alike delight in decadent treats at Salud Raw Food. Sip high-altitude wines in Bend, Culver and Terrebonne. For a smörgåsbord of food and fun, head to WinterFest in February. From upscale dining to farm-fresh takeout, satisfy all your food cravings in Central Oregon this winter. Try a taste of Central Oregon’s award-winning microbrews and spirits. For the ultimate après-ski experience, use the Bend Ale Trail as your guide to 18 famous breweries — November is Bend Ale Trail Month, with bonus prizes for participants. Be sure to tour the main brewing facility of the Deschutes Brewery, the company that pioneered the region’s craft brewing industry 25 years ago. For unique experiences, make your own beer at Immersion Brewing or stargaze at Worthy Brewing’s Hopservatory. Outside Bend, grab pints at Wild Ride in Redmond and Three Creeks in Sisters — and soak in hops. Follow the Oregon Mural Trail to Prineville, where Crooked River Brewing and Ochoco Brewing are your go-to spots.